Accepting payments online through your Square account is easy! Here's how to get it set up. Spectora has integrated with Square, an all-in-one credit card payment processor, so you can quickly get started accepting customer payments online and never have to worry about accepting payment on-site again. This feature allows you to automatically restrict access to the report until the client has paid. 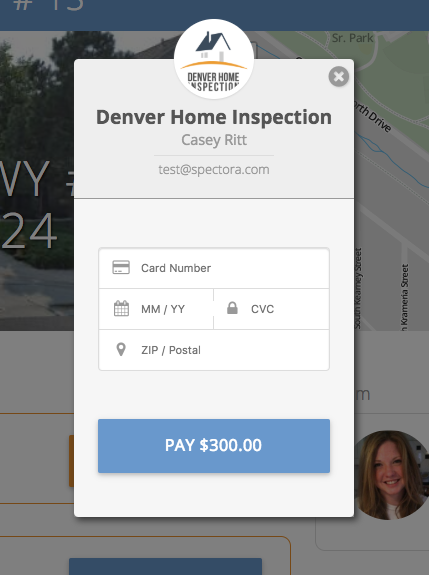 *Square integration is ideal for home inspectors wanting quick setup and a single account to start accepting payments online – see their fees here. That’s it! Your clients will see the same familiar Spectora interface, but the back-end will be processed by Square. You’ll be able to track payments in your Square dashboard anytime!